Andrew Gresel celebrates his APC Series win at Delaware Speedway in the Great Canadian Race last Saturday night. (Photo by Thompson Photography). SAUBLE BEACH, Ont. – September 21, 2017 – it took a full season, but Andrew Gresel finally found his way back to Victory Lane in the APC United Late Model Series season finale at Delaware Speedway last Saturday. Gresel’s victory also solidified his second-place finish in the overall championship standings. Gresel’s victory didn’t come easily. Instead, he overcame a good amount of adversity right until the final restart of the race. That qualifying effort put Gresel right in the middle of the 22-car field for the Great Canadian Race, Delaware’s annual September bookend. Gresel immediately marched his way forward despite losing power steering on lap 15 until he ran second to leader Matt Pritiko over the final half of the race. The long green flag run ended with a final caution on lap 96 of the 100-lap race. On the ensuing restart, Gresel washed up the track in turn one, but got a second chance when the start was called back. Then, he made the most of the opportunity. The victory was certainly a sweet way for Gresel to end his APC Series campaign. Over the of the 10-race series, Gresel recorded nine top-five finishes and never finished outside the top-10. 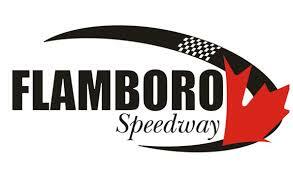 Gresel’s season will continue this weekend at Jukasa Motor Speedway’s Pro Late Model Fall Brawl before Frostoberfest at Flamboro Speedway on October 1.